Next post: Obama foreclosure relief plan falls flat, says Congress. Foreclosure should almost never be granted by summary judgment. That’s what I believe, and that’s what most of the lawyers who defend foreclosures in Florida believe. Now, it looks like there’s at least one judge who is starting to think that way too. Before I share with you why this judge may never again grant another foreclosure summary judgment, let me give you a little bit of background. About three months ago I defended a summary judgment hearing for this client. The plaintiff had submitted an affidavit – a sworn statement – testifying to all sorts of facts, even though it was obvious from the face of the affidavit that the person making the statement couldn’t possibly know what those facts really were. At the hearing, I argued that the affidavit was not admissible, that the court should throw it out and deny the motion for judgment. Unfortunately, at that time the court disagreed with me, entered judgment against my client, and set a sale date. Almost immediately, I asked the judge to reconsider his ruling – and did he ever. The attached hearing transcript [PDF – foreclosure affidavits invalid] shows a judge who takes his job seriously, a foreclosure mill that can’t get its act together, and a foreclosure defense lawyer who wouldn’t give up (me). You’ll want to read all 24 pages of this, but let me break out a few observations for you. Summary judgment in foreclosure cases should almost never be granted. On page 18, line 13, I lay out the case for denying these motions almost every time. 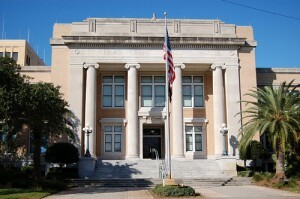 A summary judgment should not be granted unless the moving party shows the facts that entitle it to judgment are established beyond the “slightest doubt.” That’s a higher burden than a criminal defendant enjoys – a mere “reasonable doubt.” Under the law, it’s harder to obtain a summary judgment in a foreclosure case than a criminal conviction. And up to now, few judges apply that standard in foreclosure cases as they should. Affidavits in foreclosure cases are unreliable hearsay. My argument for throwing the affidavit out is that the “testimony” in it was inherently unreliable. The affiant (the person making the statement) effectively stated that she had read some records and that was the basis for her testimony. But as the judge recognized on the rehearing, that’s hearsay, and it’s not admissible. It’s also worth noting that the affiant in this case was an employee of the plaintiff’s law firm – the Law Office of David J. Stern – and not an actual employee of the supposed plaintiff…. so there’s no way she could testify about the facts of this case. Perhaps most important of all, I have seen hundreds of motions for summary judgment in foreclosure cases, and not one of them met the requirements for admissibility. Not one. So read the transcript, look at the cases I’ve cited, look at the cases the judge cites, and see how they apply to your own foreclosure cases. Some judges care about getting it right. As you read the transcript, you will see that this judge not only read my brief and the cases I cited, but also did extensive additional research on his own – even during the hearing itself! This judge obviously cared about getting to the right answer, and even when he thought he knew the right answer already, said “I’m just begging you to send me some cases that would help me….” Every judge should care this much about doing the right thing. What got this judge so fired up about foreclosure affidavits? Between my first hearing and this one, he found a case where two separate banks filed foreclosure cases against the same defendant, on the same note. It gets worse: both plaintiffs were represented by the same law firm, which was the same one in this case. Even worse: both cases involved the same person signing two different affidavit, one for each bank, each affidavit claiming that bank owned the note. The very same person! Obviously, the people signing these affidavits have no idea whether they’re true or not. The judge talks about this other case on the record, on pages 6 and 7 of the transcript. It’s hard to speak up when you’re getting pummeled. Ladies and gentlemen, start your depositions. THE COURT: You know what I’d really like to see? I’d like to see in one of these cases where a defense lawyer cross-examines, takes a deposition of these people, and we can see whether they ought to be charged with perjury for all of these affidavits. That’s page 15, lines 20-25. Fortunately, a number of such depositions have been taken. One’s already been taken of the affiant in this particular case. The tide is turning. 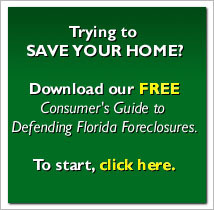 Fight your foreclosure – you just might win.